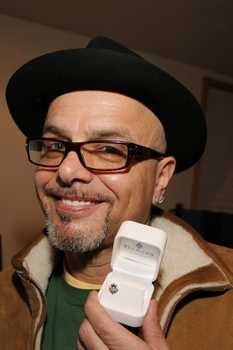 Joe Pantoliano, film and television actor, looks great with his Ziamond Cubic Zirconia Stud Earrings in 14k white gold. Ziamond offers a variety of stud earrings available in your choice of 14k gold, 18k gold and platinum. Ziamond Earring Studs are the must have item for every woman and man!